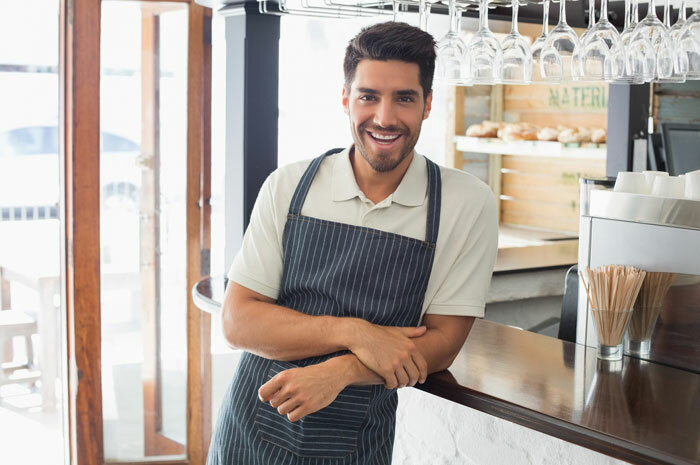 The first step in becoming a small business owner in the food franchise world is to find the franchise you want to run. It might seem basic, but this is actually one of the biggest hurdles in becoming your own boss. To help you navigate all of the opportunities out there, we’ve compiled three steps to finding the right franchise for your next business venture. The easiest way to find the right franchise for your next business venture is to begin looking at what you don’t want to do. It may seem counterintuitive, but it’s actually a great way to narrow down your options. Not a fan of coffee shops? Cross this category off the opportunity list. Know you don’t want to run a pizza parlor? Take that off, too. Determining what isn’t a good fit right away will help you to focus on only the franchise categories that are realistic opportunities for you. Continue whittling down what you do and don’t want from your role as a business owner until you come up with a short list of two to four food categories that might be a good fit. Perhaps your list ends up with a focus on ice cream parlors and burger joints - this gives you the ability to explore all the options within these particular markets more deeply than you would be able to by looking at all food franchises as a whole. After you’ve finalized your short list of the categories you are interested in, it’s time to do a little research. Start by visiting our Food Category search pages and browse available franchises within each of your chosen categories. Once you have selected some you are interested in, request additional information by completing the Request for Information form. Once you've done your initial research and had conversations with the franchises you are interested in, ask them to connect you with some of their successful franchise owners. By chatting with a franchisee, you will be better able to tell if a particular franchise is a good fit for you. This type of hands on research will help you figure out if the options on your short list are a good fit for what you want in a business venture. What kind of time investment will be required? Knowing up front how much time you have to commit to running your business and how much time the average franchisee spends working in and on their business from week to week will help you to determine if this business fits the time you have available. What’s going on within this industry? Knowing how the industry is faring - and how saturated your local market is with this kind of business - will help you to decide if there is market space within your geographic area for this type of franchise. After doing your research, you should have whittled your short list down to about two to four franchise opportunities. The next step is to talk to each of the franchisors to understand how your business would operate on a day to day basis. By filling out our interest form, we can help you reach the right people at each company to answer all of your questions about opening up a particular franchise. This gives you the ability to connect with multiple franchisors with the click of a mouse - simplifying your research process. What does the franchise training program look like? This will help you to understand how you will learn about the inner workings of your franchise and what kind of ongoing training and support you’ll receive from the brand. What are the brand standards of the franchise? Different brands have different franchisee requirements in terms of how you can and can’t operate your business. This is to keep some uniformity across the entire brand. Make sure that you are willing and able to work within these constraints, as they will be requirements for running your business in the long haul. When can I expect to become profitable? Financially, it’s important to know both when you can expect to break even on your investment and when you should start to see a profit. Although they won’t be able to give you exact numbers for your franchise, it will give you a better idea of how long you have to work on your business to make money. Opening up a new food franchise is an exciting time. Doing all of your due diligence to ensure you choose one that fits your family and your community is an important first step to success. If you’re ready to take the next step, FoodFranchise can help you find the right franchise for your business. Check out our newest food opportunities or call us today at 888-363-3390.